Salter training schools recently agreed to pay $3.75 million to settle Attorney General Martha Coakley’s claims that the for-profit school misrepresented job-placement statistics and engaged in deceptive tactics to enroll students. Many former students at Salter training schools, which are alleged by Attorney General Martha Coakley to have used dubious marketing to lure students, said the school offered false job promises about employment prospects that ultimately left them without jobs and mired in debt. Scores of former students contacted the Globe after Salter recently agreed to pay $3.75 million to settle Coakley’s claims that the for-profit school misrepresented job-placement statistics and engaged in deceptive tactics to enroll students. Many were women who attended the schools’ medical health care training program, hoping to land well-paying jobs with regular hours. Keila Rivas, a 26-year-old mother of two, said the school promised results, but the reality was very different. Rivas graduated in 2010 from a medical assistant program at Salter’s West Boylston location without a job. She said she now has about $20,000 in student debt, including mounting interest. The Salter schools, owned by Premier Education Group LP of East Haven, Conn., did not admit wrongdoing in the settlement, which will provide restitution to hundreds of qualifying students who attended Salter College in West Boylston and the Salter campuses in Fall River and New Bedford. Many of those students — veterans, single mothers, teenagers — end up in debt, often without degrees, jobs, or prospects. Premier has disputed Coakley’s claims, but did not elaborate. A spokeswoman, Nancy Sterling, said the company is prevented by privacy laws from talking about individual student situations, but added that many students have medical, transportation, or other issues that prevented them from taking part in job searches. Salter’s settlement was the largest to date won by Coakley, who has been part of a national effort to change an industry that has left many students deep in debt and jobless, while reaping record profits. 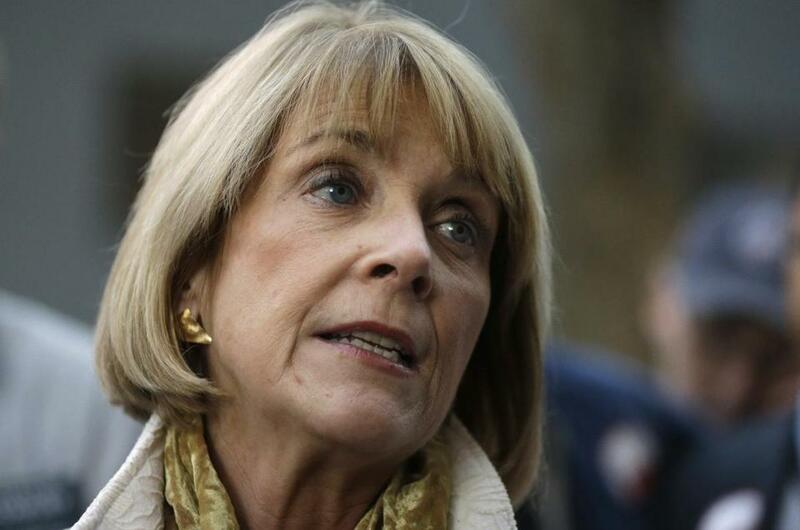 Coakley’s office has filed lawsuits against several for-profit schools and won hundreds of thousands of dollars in settlements to reimburse students. Industry officials say for-profit schools provide access to higher education and many students end up with new skills and jobs. They note that many students graduate from nonprofit colleges without jobs and deep in debt. Susan Bottomley, a 62-year-old widow who graduated from the medical billing and coding certificate program at the Fall River campus, said she was swept up by Salter’s promises that her training would one day lead to a job paying $40,000 a year or more. But it did not work for Bottomley, who said she did not receive a single job offer after graduation. After two months of unemployment, she took a job as a housekeeper at a nursing home that paid a little more than minimum wage. She said she still owes about $12,000 in student loans. “It was such a waste of time and energy,” she said. Stephanie Tavares, 37, said she left a job of 15 years at a merchandizing company in New Bedford to attend the nine-month Salter School medical assistant program. The single mother of two said she was just weeks from graduating from the course when she learned that financial aid would not fully cover her tuition and that she would owe $7,000 in student loans. Upon graduation in 2011, job counselors at the school helped her for a few weeks, she said, but the only job offers she received were for per-diem positions without regular hours.